Leadership St. Pete (LSP) is one of the oldest leadership programs in the country and is a division of the St. Petersburg Area Chamber of Commerce. LSP is a six-month selective and dynamic program that provides an interactive introduction to social, economic, business, and political issues in the St. Petersburg, Florida area. Each year, the Chamber selects 30-35 local leaders (out of roughly 150-200 applicants) to participate in the program. LeavenLaw managing partner, Ian Leavengood, as well as LeavenLaw Associate, Ryan Singleton, are both alumni and past members. This year, LeavenLaw Associate Attorney Aaron Swift graduated from the 2016 LSP class. As part of the LSP experience, each LSP class selects a local charity or organization as their class project. Throughout the 6-month program, the LSP class raises funding for, and eventually participates in, a large-scale charitable project for the organization, such as major remodeling or re-designing. This year, the 2016 LSP class chose ALPHA House as the class project. ALPHA House provides housing and supportive services to homeless pregnant women and teens, as well as new mothers and young families experiencing a crisis. Since 1979, Alpha House has provided housing and support services to over 3000 women, teens, and children. Aaron and his LSP class members raised over $150,000 for ALPHA, and the LSP class helped remodel and renovate a serenity garden, courtyard playground, living area, media room, and computer room for the mothers and babies at ALPHA. In what can only be described as an amazing and serendipitous coincidence, Attorney Swift learned that he and his family have a special connection to ALPHA while touring the renovations at the ribbon-cutting ceremony. As it turns out, Aaron and his family briefly lived at ALPHA in 1987, when he was only 4 years old, and his family was homeless after his mother left an abusive husband. Aaron worked on the charitable project for 6 months without knowing that he and his family, in fact, benefitted from the same ALPHA services nearly three decades prior. Attorney Swift’s connection to ALPHA caught media attention, and the Tampa Bay Times ran an article with more details. 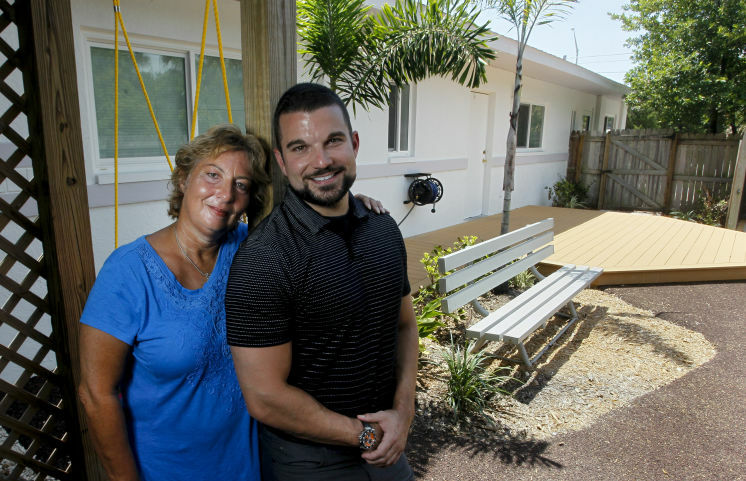 For more information, you can access the Times article here: http://www.tampabay.com/news/humaninterest/decades-later-mother-and-son-return-to-alpha-house/2288134. 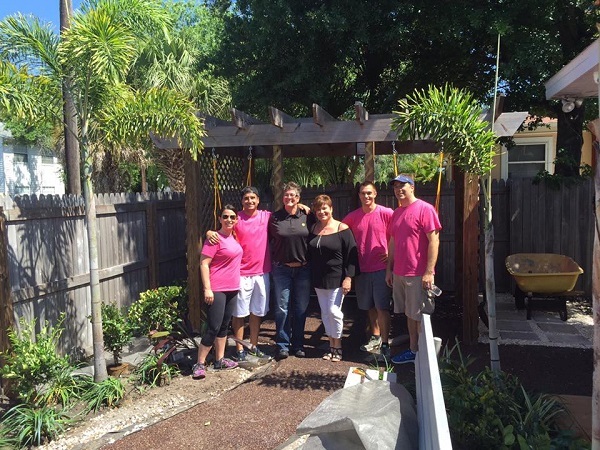 LeavenLaw is proud to support community organizations like Leadership St. Pete and the ALPHA House. Our dedication to the community is not limited to practicing law, and we look forward to giving back into the future.